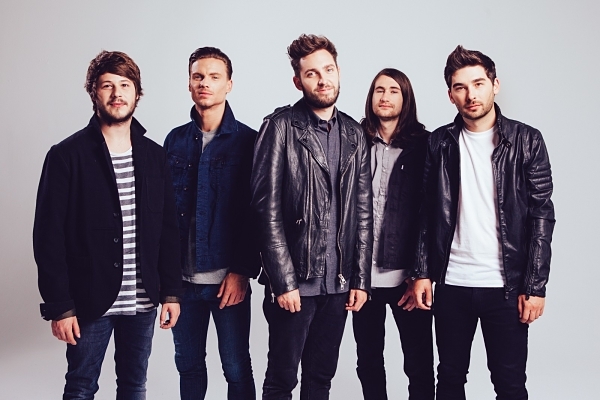 Celebrating their tenth official year as a band, You Me At Six just finished their North American tour in support of their latest release, Cavalier Youth. Released earlier this year, the British quintet’s fourth studio album has encountered recent success on the Billboard Alternative Albums chart reaching the #22 spot. Moreover, their hit single, ‘Room To Breathe,’ has continued to dominate the Top 10 on the Top Rock Songs chart, peaking at #4 and lasting 26 weeks on the chart thus far. AltWire’s writer, Mattison Keesey, recently had an opportunity to sit down with guitarist Chris Miller before an acoustic performance at a pre-show meet & greet on October 17th. Read why Chris feels this album may just be one of the band’s best works ever in our exclusive interview below. AltWire [Mattison Keesey]: Cavalier Youth is your fourth studio album since 2008, how would you say your writing and recording styles have changed throughout the years? YMAS: Hmm, they’ve changed because we’ve gotten older. When we were writing our first album we were writing music for the first time; we were 15- 17 so we were trying to imitate our peers at that point in time and trying to look up to our favorite artists. 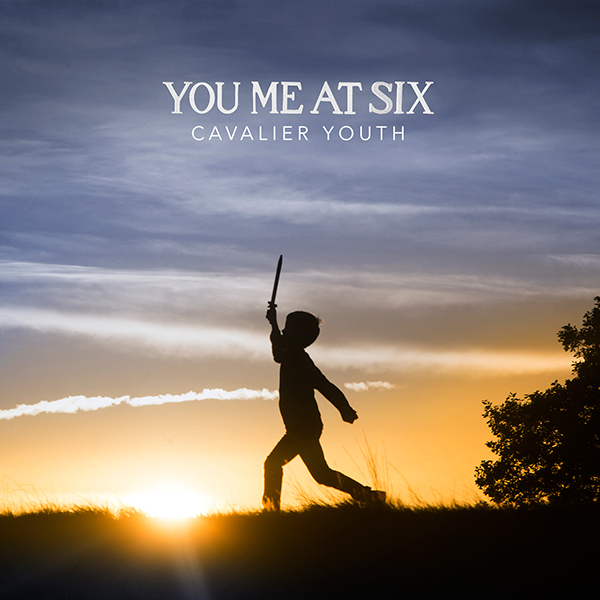 Over the years I feel we’ve diverted and progressed as a band and started to find our own sound and really I think “Cavalier Youth” is the beginning of where we are [as a band]. We feel comfortable with where we’re at sound wise and what songs we’re producing right now ourselves. It’s just a natural progression as well because you’ll hear from our earliest records that we had more of a pop-punky sound to where now over the years it’s just transcended from that to being more of just a rock band instead of adding the brackets around things to classify it as a certain genre. I would say it [Cavalier Youth] is just a straight up rock record and I think over the years we’ve really improved as we’ve worked with some great producers now who have shown us different ways of writing songs and techniques of how you can ‘learn to do this’ and make the songs better. I think over our travels we’ve developed all these characteristics and skills working with people that finally on Cavalier Youth we’ve reached an album that we’re all very happy with and we felt that we made a truly cohesive record for the first time. When we did Sinners Never Sleep people were confused because one minute you could have a song like ‘Bite My Tongue’ with screams by Oli Sykes from Bring Me The Horizon in it and then two songs later you almost have a ballad with ‘No One Does It Better’ or ‘Crash’ you know? Previously we hadn’t listened to our albums and thought “Okay cool if this is a new person picking up our album for the first time are they going to be like ‘this is confusing’ or will they get it?” and I think that was our mindset for Cavalier Youth. To make a record that anybody could pick up and listen to and be like “I get it”. It’s a complete work and I think we haven’t felt like that before. AW: Absolutely, and I can definitely hear that on the album! Another thing I wanted to ask you as well was: Neal Avron, what was it like working with him? I see he’s worked with a lot of great artists, and you guys chose to work with him on this album. YMAS: We definitely had a few producers in mind, but Neal was our number one pick. We really liked the records he had done and as we were saying he’s worked with bands like Linkin Park, mixing their albums and producing and mixing Fall Out Boy albums and working with our friends in Yellowcard. He’s done Switchfoot and loads of different styles of bands. When we met up with him it was just an instant click between us and him and we felt that he was the right man to do this record because he was going to push us and he was going to make us go harder than we’ve ever done before but still really enjoy what we were doing. He made us concentrate as to why were there as in “you’re not just here to make another You Me at Six record, you’re here to make the best one you’ve ever done in your career so far”. And at this point in time I definitely think we did that with him. And like I said earlier, he kind of directed us and helped us progress as a band and I think you can really hear that on this record moreso than any other record we’ve done before. There was just a bond with Neal and the whole team, including him and Eric Tabler, who worked with us as well – he’s an engineer on the record – and it was just a comfortable environment. We did drums at a place called NRG in Los Angeles, which is an amazing and famous studio that has done records with Limp Bizkit, Incubus and all that, but then we went to Neal’s house and it was a lot different from a studio where it can be dark and dingy whereas there it was bright, you have windows and you see the daytime and I think that really lifts your mood when you’re recording a record and you can hear that come out [on the songs]. Sometimes you get stuck in a dark, dingy studio and your settings kind of reflect on the record. That’s what happened with Sinners for us we were in dark, dingy studios and I think it reflected on that, but Cavalier Youth is a far more positive record. The whole entire time from the writing process to the end of the recording process was enjoyable as hell and I’d say Neal really improved us and benefited us a band. AW: It’s interesting you mention Linkin Park, because at AltWire we’re big supporters of the band so we we’re actually already slightly familiar with Neal’s style of mixing. YMAS: Yeah definitely. From his work with Minutes to Midnight, that to us as a band was a big selling point because we wanted to sound like a big rock band and Linkin Park were one of those bands that growing up really did push the boundary and went to the next step and for us on our fourth record we felt like yeah we may only be 24-25 but we want to push it now. We’re really hungry to be as successful as every other band and we’ve had a taste of success in the UK and Australia and we’re finally getting some love in America but we want to take that even further now. Before this tour we went to Manila, Singapore and Kuala Lumpor for the first time, which shows that our music is opening up to a lot more people now and I feel that maybe if it wasn’t for Cavalier Youth perhaps none of this would be happening. So I could say thanks to Neal for that! AW: You guys also did a really cool string quartet performance with Dean Street Studios. In addition to all the acoustic work you did for the special edition, could we maybe expect a full acoustic EP in the future? YMAS: It’s definitely something we’ve always talked about, as maybe doing an acoustic tour or potentially doing one of our CDs stripped back acoustically. I don’t know if it’s the right time and place now as we’ve been so busy – I think this year alone, we’ve only had a month or two off and that’s it so I think after all this we’re probably just going to relax for Christmas and all that. But maybe in the future you’ll probably see something from us doing something in that kind of vein. I know we’re all interested in that side of us as well. AW: It’s a softer side that some people wouldn’t expect and fills a bigger audience so that would definitely be cool! Now, last year was your first US headlining tour. Going back in time, how did it feel to be away from home in another country for so long? YMAS: Hmm, it’s not the longest I’ve been away but it’s obviously because America is so big as well. Like there’s a lot of land to tour in but you never actually are leaving the country. Where with the UK it’s such a tiny island like three times smaller than Texas and we’ll be going there in a week or two. With America you kind of get different flavors of everywhere. You can tell the difference between the West and the East Coast and the accents from the North to the South, and which area likes football and which area likes Ice Hockey and things like that. So I don’t think it was in the vein of what you were talking about, as in being away for so long and growing worried about it. It was just nice to come over and do a headline tour over here and be away for such a long time but still maintain and be in one country. There are not many other places in the world where you can actually do what you do in America touring wise. You’ve got mainland Europe, but you’re going into different countries everyday whereas America is such a big place and mostly everyone speaks the same language. AW: You know, I’ve never thought about it way before, but that’s a really interesting way to put it! YMAS: Yeah plus you speak English as well. When you go to mainland you have people speaking French, German, and sometimes you’ll be like ‘I don’t really know what you’re saying’ but here I get everybody and understand what everyone is saying. AW: Yeah I get you! So you guys just recently announced a co-headlining tour with All Time Low. Are you excited about it? YMAS: Yeah totally! We’re looking forward to touring with those bands again. The last time we played with them was Spring Fever and I think we’ve got different fanbases, but we’ve got similar fans as well and then fans who do like both bands. For us ever since we did that Spring Fever tour we were like ‘we should do this again’. We thoroughly enjoyed it, we saw how much fun we were having and we felt like both our bands really worked well together in a show. That was the whole point of taking it to the UK as well as they saw the Spring Fever Tour and thought ‘why don’t we get that over here?’ We talked about it for a while with All Time Low and now we’re going back out on tour with them. So it’s nice to actually tie the knot as one would say and make it happen. AW: Great! So do you think this tour might make its way to the states? Or is this more kind of UK only? YMAS: I don’t know to be honest with you. It depends on really what goes on next year with our schedules. We’ve got plans at the moment, but I don’t know if we’re looking at another tour like that over here or supporting somebody else or trying something new. I think we can’t really see what happens over the next couple of months for us a band. 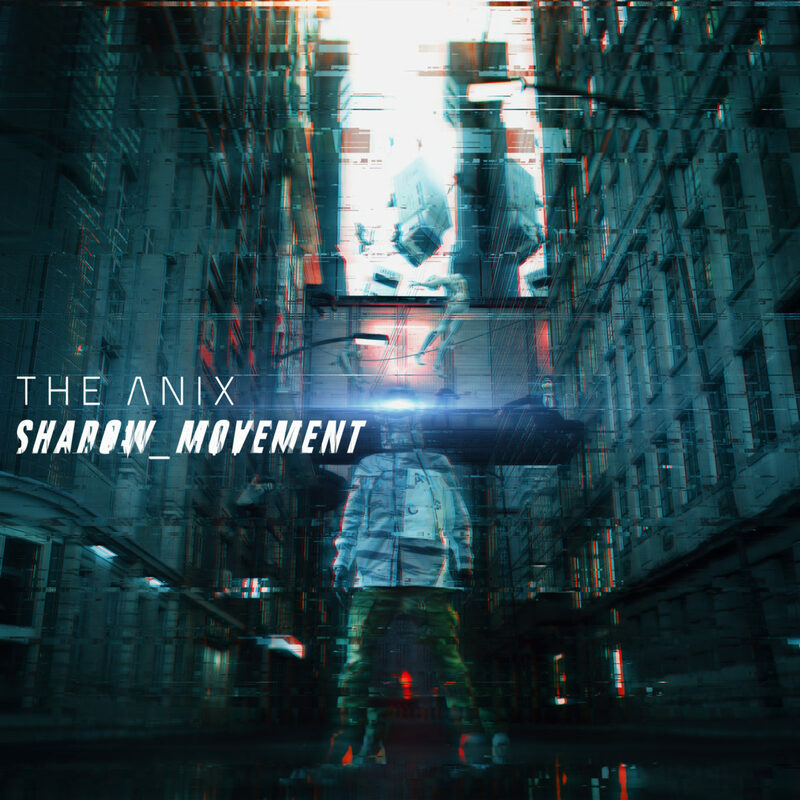 We’ve had very good success at radio to say for the first time with Active Rock and now it’s going into Alternative as well and it’s only our first single so if it ends up breaking out of Alternative as well, the options might be endless. There could be different things we could do, so for us we love doing those kind of tours, we just have to weigh up our options as well and see what happens next year. AW: Lastly, the band has been running a Spotify #perfectplaylist contest. What inspired the idea behind doing that? YMAS: As a musician or as a touring artist I don’t think you ever stop listening to music and you’ve always got to have a playlist that goes on either before you play or after you play post party or pre-party or traveling music and for us it just shows the people what our music is all about and that we don’t have a narrow-minded sense of ‘oh we only like one style of music’. We’re very open across the board to different styles of music. We all love hip-hop we all like rock we all love indie we all love pop punk the list of genres can go on and on and on. So I think this just shows people what we actually listen to and also keeps them up to date as well. AW: Gotcha! Well you have a show to do so we have to wrap it up! AW: Thank you so much for taking the time to speak with us. YMAS: No worries! Pleasure speaking with you!